When American Peace Corps volunteer, Vicki Chan, started teaching at the Kampong Cham Provincial Teacher Training College (PTTC), she noticed that the volleyball courts were exclusively dominated by men, even though her school is 75% female. Being into ultimate frisbee herself, she started to throw around a frisbee during her trainees’ physical education hour. This quickly gained momentum when the trainees got hooked – especially the women. Vicki knew the folks at the Phnom Penh Ultimate Association (PPUA), so together they arranged for a one day workshop and tournament for her trainees in May of 2013. Half her trainees who went to play were women, and her best player is a petite young woman named Sonita. Because of the success of the first workshop, PPUA arranged another clinic on November 3rd, 2014. Vicki trained more interested participants before the workshop and it culminated in a beautiful sunny day of ultimate frisbee at Khemra Sports Field in PP, which included 17 trainees from Vicki’s group. A third of them were trainees that didn’t go to the first workshop. The most rewarding thing for Vicki though, was not seeing all her female students thrive and participate in a field sport, but seeing them continue to play and practice on their own and forcing those those male soccer players in the recreation plaza in front of their school to share the sports space! Sonita plans on helping Vicki organize a sand ultimate frisbee tournament in Kampong Cham to host the frisbee enthusiasts from Phnom Penh and other parts of Cambodia. Hopefully Vicki’s group of trainees can raise enough money from the sand tournament to participate in Cambodia’s biggest ultimate tournament next year: Big Phat Phnom Penh in March 2014. Wish them luck and come out to support them! 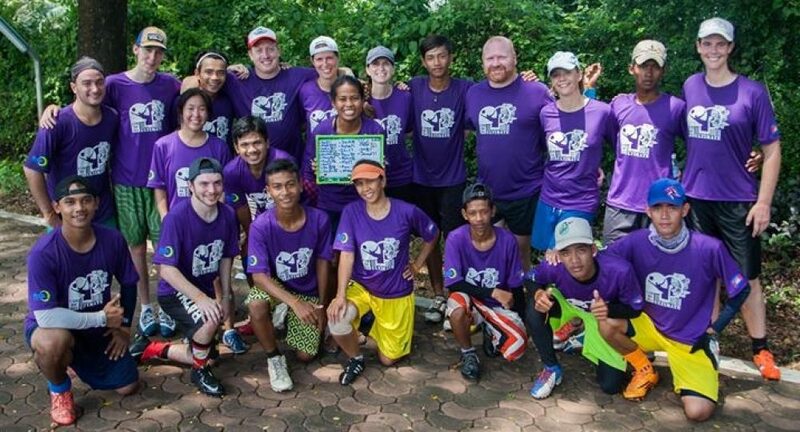 Vicki and her trainees want to extend a huge thank you to PPUA for not only expertly organizing the clinics, sponsoring their transportation, but also for being a helpful, fun, welcoming and outstanding group of supporters for new Cambodian Ultimate players in Kampong Cham. Thank you, PPUA!